The greatest form of flattery is a referral……. The most rewarding form of advertisement is a referral from a happy patient and to show our appreciation of that trust, we’d like to extend a warm “thank you”! Refer a friend for a cosmetic non-surgical service and you’ll receive a $25 gift certificate to use towards your next cosmetic non-surgical service. Refer a friend who has cosmetic surgery and receive a $100 gift certificate to Dermatology & Plastic Surgery of Arizona. * A referral card must be presented by the referred at the initial consultation. Print a cosmetic referral card below or pick one up in our office. Cosmetic surgery must be a minimum of $2,500 to receive gift certificate. Gift certificates may only be redeemed on services listed above, not on skincare products. Gift certificates may not be combined with any other specials or discounts. The referred patient must list referrers name when completing their paperwork at the initial consultation. Your gift certificate will be issued after the referral receives services. Cannot be applied as payment toward an existing balance. Gift certificates expire 90 days after issued date. 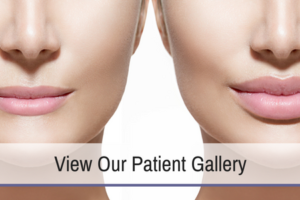 To learn more about our referral program, or to schedule your consultation with Board-Certified Plastic Surgeon Dr. Moenster or Board-Certified Dermatologist Dr. Weye, please fill out the form on this page. You can call our Tucson location at 520-207-3100 or our Sierra Vista location at 520-458-1787. We look forward to seeing you soon!